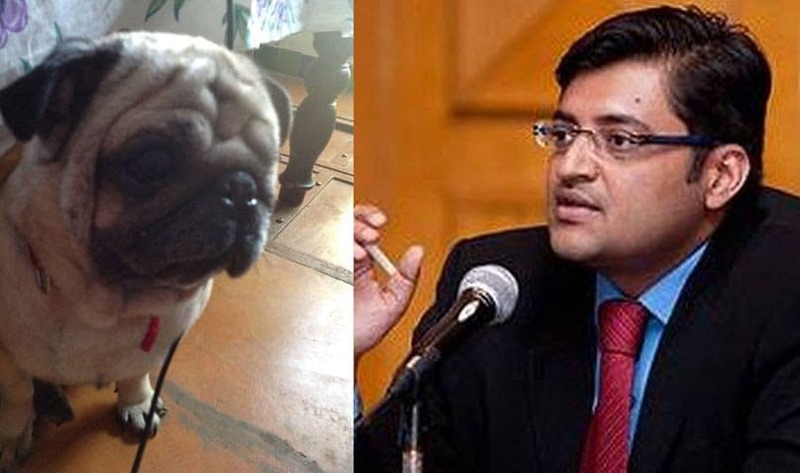 Transcript of Arnab Goswami’s famous interview (aptly titled Dog v/s Arnab Goswami in popular media coverage) with the renowned scholar and author Dr. Chunnu Dev Murthy who has just released his best seller – The Idiot I live with. Dr. Chunnu Dev Murthy was born a few years ago in the city of Mysore, India. In the short space of a couple of years, he acquired two Ph.Ds from MIT and Stanford and developed a reputation as an artist, painter, management consultant and professor. His latest book, “The Idiot I live with” has been on the bestseller list for months now. He was interviewed by Arnab Goswami, a prominent TV journalist. AG: Dr Murthy, where do you get your inspiration from? The nation wants to know! Dr CDM: The Idiot I live with. AG: That’s the book yes, a curious title. But where do you get the inspiration from. The nation wants to know! Dr CDM: Tell the nation I don’t care. I have already given you my answer. If you ask me again, I shall lift my leg and present you with a cocktail of uric acid. AG: What is your book about? The nation wants to know! Dr CDM: If they are that curious, they should pay me. It’s about the fool I live with who sponsors my education, lifestyle, food, boarding, lodging, internet and medical expenses. I explain that the human race is clearly hurtling towards extinction because The Idiot is such an amazing vacuum head. As are most humans. AG: You’re calling me a vacuum head?? I demand an apology! Dr CDM: Take this dog biscuit and shut up! AG: Thanks. (Munching) So you say we’re heading towards extinction. Dr CDM: Yes. No intelligence. No compassion. 100% arrogance. A huge superiority complex. Wars. Constant yelling and shouting. Sounds familiar? I’ve done the mathematical modeling. If even 2% of people are like this idiot who’s posted this article, the infection will spread and you’ll be gone in 30 years. I discuss music, anthropology, biochemistry, tick powder, vets and poetry. AG: That’s serious. What will happen then? The nation wants to know! Dr CDM: TELL THE NATION TO GET LOST! We shall be taking over and will put whoever’s left in shelters. AG: Where can I get your book from? The nation wants to know! Dr. CDM: There is no doubt, listening to you, vacuum head, that my prophecy will come true. Anyway, my book was published by Penguin and can be purchased for Rs 1000/- from leading e-commerce outlets. Here’s some uric acid. Bye. Posted on August 19, 2014 September 6, 2017 Author Abhishek JoshiCategories Funny bones!